Within the last 11 hours, the Northeastern United States has been hit by a storm that plummeted snow, froze roads, tore down trees and power lines and created brownouts and blackouts in at least six states. This is just the beginning of a Season that will be filled with sudden frozen, heavy wet snows and floods. Uranus is in retrograde heading back to the Aries Point, and the fixed star Scheat, the star of floods and drowning. 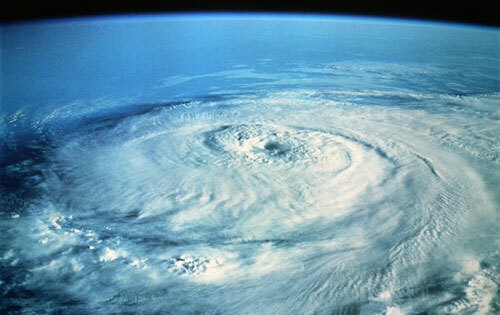 So as the Moon travels into hard activation of Uranus we will see some terrible storms. Here are dates to watch. Please note that during all these dates Jupiter continues getting closer to an exact stressful semi-sextile position to Uranus. The more exact this aspect becomes, the bigger the event, which will occur when triggering Moon sets it off. 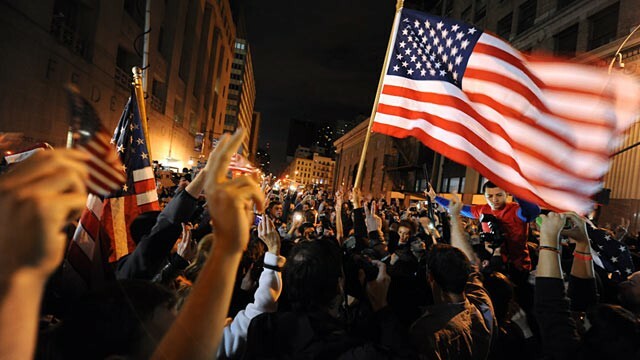 November 6, 2011, early am, East Coast USA. The Moon will conjoin Uranus as Mars opposes Uranus. Also Jupiter will be quincunx Venus & Mercury. 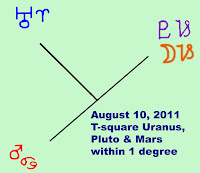 November 14, 2011. early am, east coast Moon square Uranus, opposing Pluto, trine Chiron and sextile to Mars. November 20, 2011, late night, activity may move west now. Moon opposing Uranus, and quincunx Jupiter and Chiron. November 26 - 27, 2011 very late on the 26th through early morning on the 27th. 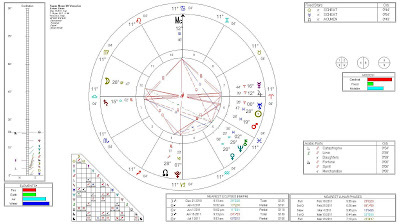 Moon square Uranus, trine Jupiter sextile Chiron. The most auspicious days are December 11th and 24th. December 11th comes under a Lunar Eclipse, with Uranus stationing Direct right on the Aries Point, right on Scheat, while Mercury is also slowing down to station direct. This can be a very challenging combination. I would not recommend traveling or especially flying during this period, though many people will be headed home for the holidays. There will likely be lots of delays, bad weather alerts, re-routing of planes and accidents. I do not see it being a smooth ride overall, though I am sure many people will get to their destinations, if you can go earlier and come back later, that would be a much better choice. On December 24th, Jupiter will station at zero degrees Taurus creating a trine to the Moon while the Moon is conjunct the Sun, applying a conjunction to Pluto, and square Uranus. This indicates a very sudden, big, noticeable, transformative, explosive, wet, flooding, icy, cold event. 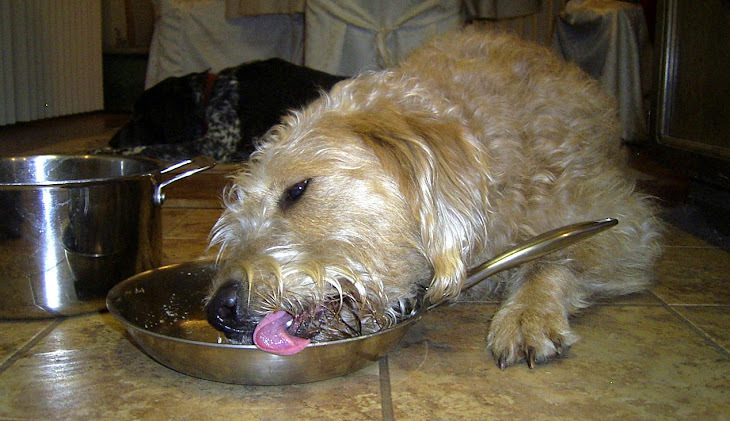 It may occur anytime from late Christmas Eve right through mid-morning of Christmas Day. There are many, many factors here, but one nice thing I can add is that Jupiter stationing at Zero degrees of Taurus does active a beautiful fixed star that may signify some blessing to come from this event, despite how terrible it may appear. Also if you are planning on going to the Tokyo area during this period, I would avoid it. Both the December 18th and the Christmas Eve Chart for Tokyo look terrible and once more there may be a tsunami. No doubt there will be lots of water. 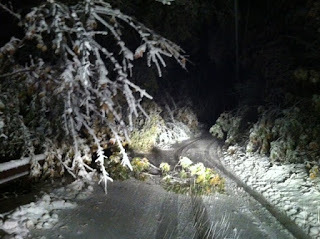 December 24 - 25th, 2011 may also hit Denver directly, so if you are traveling there or live there, be prepared. It is so important for folks who take medicine or need electricity for medical equipment to be prepared for any blackout that may happen. A few hours for some people can be tragic, and it is for this reason I have made sure to jot this blog with dates and times despite my heavy schedule right now. I also wanted to get these dates posted quickly in case you are making travel plans. I always recommend you get tickets purchased before a retrograde period to assure you get what you want, and avoid errors. Mercury will station retrograde 11:21 pm PT on November 23rd, and then go direct on December 13 at 5:43 pm PT, so if you are planning on buying Christmas presents, you may want to wait till after the 13th to make sure you don't miss something about the gift. During a Mercury Retrograde, we frequently miss the fine details and will get the wrong model, or get something that needs to be repaired. Better to make purchases outside of this period if possible. I guess you would say this title is a mouthful, and perhaps you are thinking, "What do these things even have in common?" Let us take them one at a time to connect the dots. We are quickly closing in on December 21, 2012, the date interpreted from the Mayan, signaling and end of time. Some have prognosticated that this is a doomsday scenario, but I do not agree. Astrologically speaking, this is the date of a new ingress chart, which looks wonderful. Additionally, having been taught by Spiritual Beings since childhood, I know that since 1968, the planet has been preparing for its graduation to a whole new level. I have witnessed the changes in vibratory rate that have occurred many times over the last 43 years. 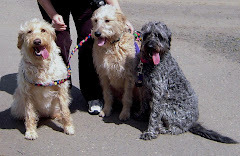 Each one has been a step up, slowly in the early years and over the last two they have been enormous. The state of consciousness of man has expanded as Planet Earth has awakened to her own needs. 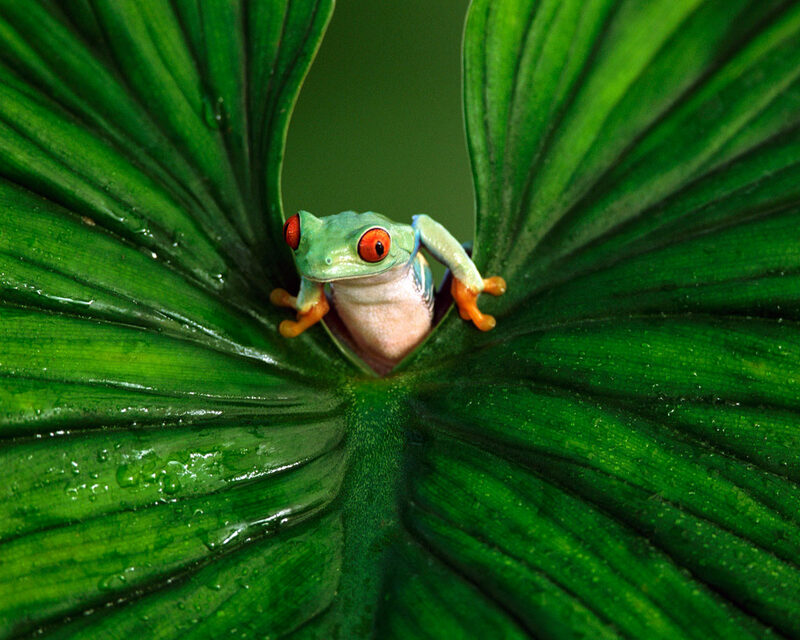 Humans have come to realize we are not here to destroy this planet, but to be stewards of it. This is, on one level, consciousness coming full circle to what was understood early in man's tribal development, but, which was lost as we industrialized and advanced technologically. But today, people are realizing that we must be stewards and there are many earth advocates working toward these goals and giving the planet a voice. So as I look around, I see the changes in man's consciousness, the planet's consciousness and I also see those who have not changed and linger, holding on to power, greed and control. As I view this, I see how quickly the polarities are shifting further apart. 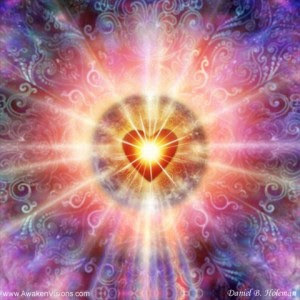 I see that the frequencies of both Earth and the sector of loving, compassionate human consciousness are in complete alignment with the solar systems movement to a higher vibration, one of love and peace. So those who see doom may be correct for their own world because the planet will move her body to shed off frequencies that are not aligned with her, much like we scratch an itch. Thus we will see cataclysmic events as we continue through the next few years. 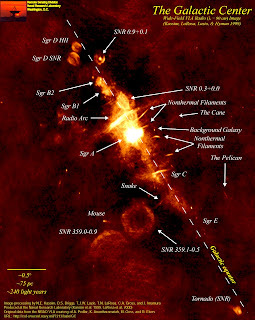 But this is one of the most amazing times in the history of this solar system. We're making change so rapidly that many will have a hard time keeping up and will have to leave the planet because their human organism will not be able to handle the frequencies. If you have been working to make change in your life, aligning with love, which is the frequency of creation, unconditional being the highest pitch, then you will most likely be in for the ride of a million lifetimes. Let me start by giving an example of how frequency works, (scientists may call this resonance, others may call it vibration) so you can wrap your brain around it. Remember to hold this thought in the back your mind while you read: "As above, so below." When an opera singer reaches a very high octave, usually seven, the sound vibration can shatter certain kinds of glass. So what happens? As the sound wave hits the glass it causes a resonance, activating the glass's natural frequency. As the note reaches a higher pitch, it pushes the frequency higher and the glass flexes. If it pushes the frequency too high, the glass will shatter. Seeing what happens to glass in slow motion can be helpful to understand this. So take a moment and watch this video. Now, having watched the video, you should have noted a couple of things. As you watched, you saw the glass flexing, you also heard the pitch increase. As it continued to increase, it eventually reached a level where the frequency (resonance) was too high to be sustained and the glass broke. Understanding this is imperative to understanding how your body responds to frequency as well. Inside your body there are trillions of sentient beings we call cells. Each has their own natural frequency. As we go through life we slowly elevate or reduce their frequency depending on what we think, do and take into our human organism, as well as through our environment. Our cells have the ability to flex and unlike glass, which is of a more stable and less organic nature, they can adjust over time to different ranges. However like glass, they cannot adjust in a few seconds to something beyond their current range. The cells require adjusting in many ways to move to higher vibratory rates. At this time, the planet is readjusting, as are all the planets, luminaries and other sentient beings in our solar system. 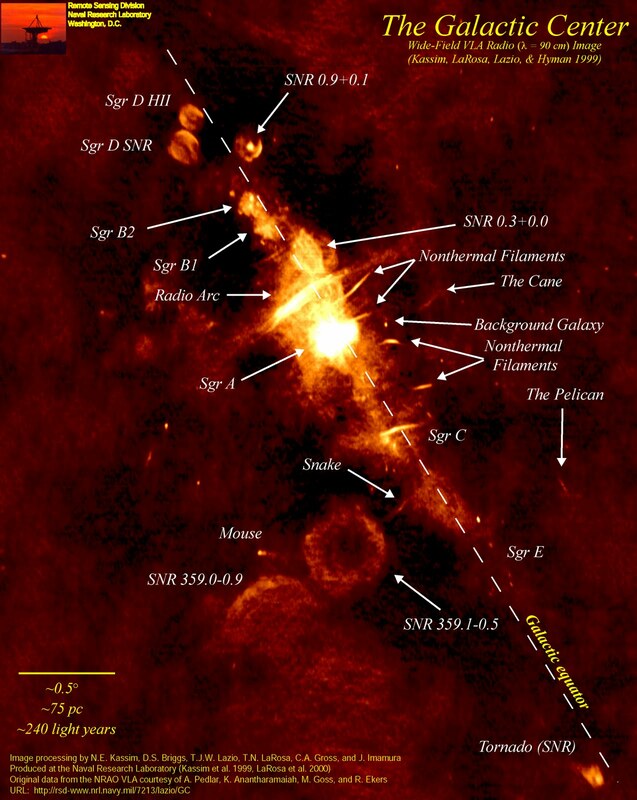 Our entrance into and through the galactic center is along a spiral frequency and when we move through and out the other side we will be basically thirteen notes higher on our scale. The human organism and all it's counterparts (astral, mental, causal, etheric) will need to be adjusted to this new level. We do this by clearing out the negativity, karmic, traumatic, and other types of experiences we have stored in the cells. All your lifetimes and the memory of those you have witnessed are in your cells. All of this is heavy, dense and is embedded in the lower frequencies. So if the body is to move through to the next stage of Solar System Development, one must clear this out and activate a whole new level, which is lighter, more joyous and more loving. So what do ETs have to do with this? This planet was seeded, as I have said many times. There are some that we call Earthlings, but they really were only the first to come. None were completely constructed from this planet, the seeds had to come from other habitations. There are some nearby and others millions of light years away that seeded this planet. Each one set in motion a new type of what we call, human organism. Scientifically, we can see this in the genetic coding we call DNA. Over millennium these have been mixed, shifted, adjusted, and changed. What we call today, GMO (genetically modified organisms) is only a small vision of what has been going on with human organisms since this planet developed an atmosphere. 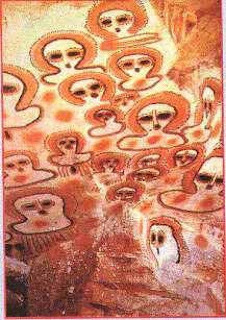 So these beings we have termed ET, or extra terrestrial, are really in some way connected to every single person on this planet. Earth has been a grand experiment, which unfortunately has not turned out as expected. There is more destruction and negativity on this planet than anywhere in the universes. Now as we must adjust to a higher frequency, like the glass, many will not flex and thus those human organisms will release their creative energy (we call soul, but in reality it is a lesser or diluted version of the actual soul) and will continue their experiment in another space, or end their experiment all together. The human organism can handle a wider scale than most beings, including many ETs for that matter. From my understanding our scale ranges 13 x 13, thirteen levels with thirteen levels inside each. Some humans may have a slightly wider or slightly narrower scale because of how they focus. Those who focus on self service, power, greed, war, destruction, run on the lower part of the scale and will find the higher frequencies difficult to adjust to. Interestingly, what sounds are chosen for horror movies when you want someone to feel creeped out? Always lower notes. Angelic sounds are always higher notes. When these changes are viewed from the level of Source or Soul, what is seen is a short experiment with creation of human organisms on planet earth. Viewing from Soul's perspective removes us from all the emotional disruption of attachment. Attachment is the source of all pain, and so when we say some will leave their bodies and there will be destruction, it can invoke fear. But when one realizes that they have played this game and that it is now time to change the pattern. That together we are creating a new game more aligned with Divine Self, which is joyful and peaceful, then we can let go of the old game. All the people you know have played with you. You cannot lose them. They will not disappear from your reality. They will just change, as they have always changed with new playing pieces. While their Divine Self always remains in Source, a space beyond dark and light, where only light, peace and joy exist. Understanding all this, we come to the last part of my title: Ascension. Ascension is a movement upward and this is assuredly where we are going. 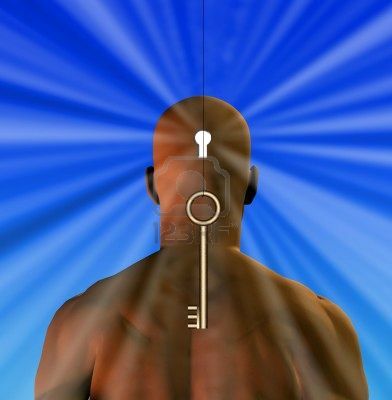 Activating higher frequencies moves us a little closer to our true self. As we move through the Galactic Center, all who have centered themselves in love, will feel lighter and will move through to the next level of this game. It is this movement that we term Ascension. This is not the ascension of those who believe we will take our bodies into heaven, but in paradox that too is correct. Because adjusting the human organisms to a higher frequency will bring us physically closer to heaven. I do hope this helps you to understand what is happening. As these frequencies escalate your body will flex in many ways like glass. You may feel tired, have pains, headaches, even experience emotions surfacing for no apparent reason. All of this is part of how your body is responding to releasing density and changing vibration. Whatever you experience, should not last more than a few hours or a few days. If it does it may not have to do with the frequencies and thus you should check to see what your body needs. I will leave you with a simple invocation to help you focus during this time. This comes from the book, "What is Light Body" which I recommend to help anyone through these changes. Encompassing my entire Chakra System. From Alpha to Omega Chakras and beyond. I received a comment asking for a little more clarification on how to ground into the Grid. Because the frequencies are rapidly changing and Gaia is actively ascending, grounding with her, as we have done in the past is not stable. What we are now doing is actively participating in Gaia's initiation / ascension process. So we are actively energizing the Grid around her and thus connecting ourselves to all life and information in the universe of Creation. 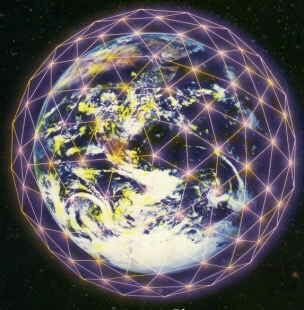 It is here, in the Grid, fully aligned with all the information of Creation, that we must now focus to ground. When you need to feel more balanced, and that will be often at this time of so much change, take a moment to breath deeply. Close your eyes and visualize the energy of the Grid above your head, and feel your connection to it. The energy comes through the top of your head, your heart center, your solar plexus, your hands, your third eye and other powerful areas of your body. Feel each part of you link to the energy of the Grid. See this golden white light flow with the power of the sun, back and forth between you and the Grid. This will stabilize you. Her presence will be around you and you will feel loved. Know you are whole and that all is perfect. For no matter how it appears, all is perfect. Even as the tornadoes rage, volcanoes explode, earthquakes sink cities, and floods or tsunamis ravage the planet; if you will ground in the Grid without fear, you will find both peace and direction. All the information you need to conquer anything is available through this Source, and you are now connected to it. Love yourself and you will discover what you have not seen before, that love blossoms all around you. We are one, from the same Source, all of us Divine, all Creation, from one grain of sand to mountains and man, we are one. Through the eyes of love, you can know this and it will carry through all adversity. For all life loves you and will help you when you are open to love. Here is an image I created. It will make you laugh, and laughter uplifts the soul! We are at a time of significant change, do you feel it? Have you found yourself doing more meditation, catching and changing negative thoughts, feeling more gratitude and love, and most noticable a greater calm and peace in your life? Gaia is in a Vibrational Ascension. 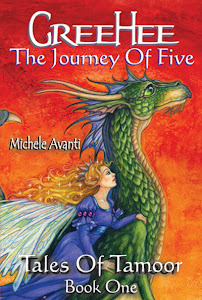 She is moving to a new frequency scale, one that is freer. We who will remain with her, must join that vibration. It is one of peace and love. It is what you wanted when you first entered the world as a child, but so sadly discovered that it only existed in small pockets. It is a world where we actually realize, "All Life Is Divine!" Many souls in human bodies chose a path of self fulfillment and power without regard for the divinity of all life. Those of us who did not make this choice, find ourselves wanting to go home because the experience of living without universal understanding causes us pain. Our connection to all life is part of who we are. When we operate from this place of connectedness, which you have heard me call 'The Grid', we feel the pain, suffering and torture all our divine connections. This includes, not just human forms, but plants, animals, and even mountains. 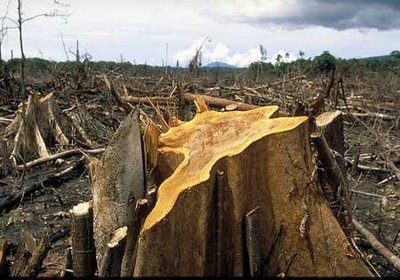 The disturbance and destruction of life forms is experienced by everyone. This is the Law of One. 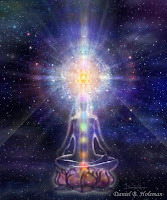 As Gaia continues vibrationally ascending, and we join her frequency, we will align once more with The Grid that connects all life in a tangible way. No longer will those who we have called, 'Sensitives' in the past, be alone. 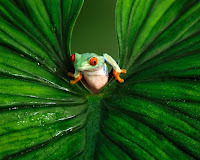 Instead, we will all become 'Sensitives,' because in complete alignment we feel the feelings of all life. We know the knowing of all life. From trees to mountains, from dolphin to cow, from Asian to European, we feel and understand each other. The Law of One is not mandated. Instead through the very act of feeling and knowing, we can no longer harm another because we experience them as ourselves. To hurt other life would be the same as hurting one's self. 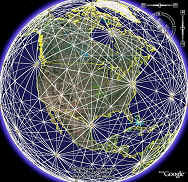 This is where we are going as we work with Gaia, The Grid, and escalate our vibrational frequencies to a higher level. So though there are many incapable of bridging the vibrational distance, and thus will not make the transition to this new world, they will find a home in a lower frequency space. We will witness many loses, but stay focused on love and gratitude, and your desire to go home will take root in the new frequencies of Gaia. Last week while I did a radio show with Allie Cheslick on Wings Of Love, I could feel many people overwhelmed by fear of this change. What I said to them, I will repeat here. "Simply stay in a place of gratitude and love. Whenever fear activates in or around you, breath into your heart center Light, Love and Gratitude. Allow your heart to consistently radiate these three things, and you will dispel the fear, dispel darkness and uplift all who are in your presence." Here is a wonderful video of a Peace Mandala titled: Kalachakra Mandala*. It was created by Tibetan Monk, Losang Samten in November of 2009 at the University of the Arts in Philadelphia, Pennsylvania, USA. Mandalas have been used for centuries to focus one's attention creating a greater awareness of the vastness of creation. The whole time while creating a mandala, the individual or individuals pray and focus on a virtue. This one holds the focus of world peace. Enjoy! Throughout my life, I have always marveled at why soul chooses difficult experiences. What each soul chooses to challenge themselves with in this life and why. As I see it, life is the personal creation of the soul, I have to ask, "What were you thinking?" lol...I of course ask this of myself. But when I look at life, I compare it all to a game. If we played monopoly many times, we would eventually create new rules to challenge ourselves more. The easier something becomes, the more we choose to challenge ourselves. Since you own the lifetime, will you choose to continue challenging or finally say, "Let's just put six on every side of the dice and then play." As they say in Vegas, load the dice and get what you want. 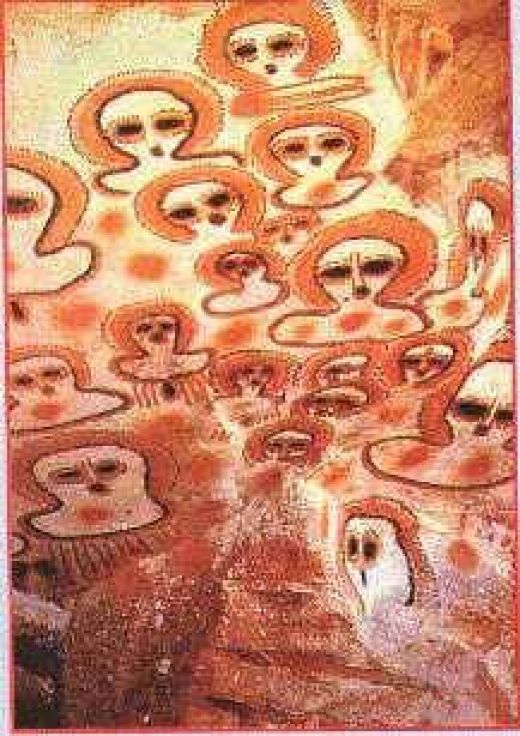 For millennium, souls have reincarnated in order to fulfill their assignment/contract with the planet and the solar system. We came for the experiment, separation from the grid of Creation. To see how it would be, how would we feel, how would we handle it. 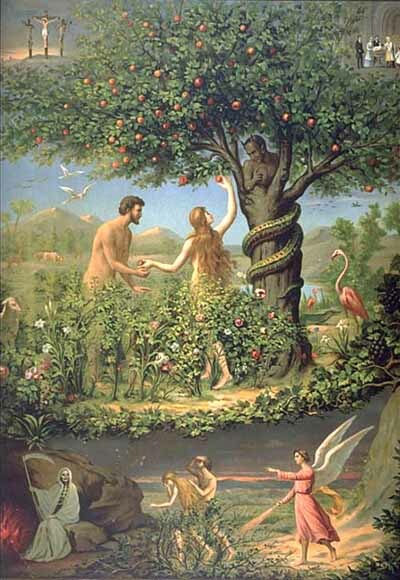 Going several levels down into a dense physical organism and separating from our network of love to some state of independent thought and independent, free-wheeling creation limited to a physical / emotional/mental/ causal reality. We started with the planet and at the time of Atlantis, many decided to step away from the experiment, to wait in the wings, till the rest of us had reached the nadir of physicality, a place too dark for soul to grasp. This is the current world. We have altered our cultural perception and environmental understanding to experience a depth of materiality, far from the realm of love and ecstasy that, we as soul never leave. But it is now time to turn the corner. That is what this turn of frequency is about. An elevation of frequency, a release of time, an ascension as many call it. We are now ready to step away from the pain and the destruction that we have steeped ourselves in at every level. So how do we do this? By reconnecting. Though at the time when we began language, (The Tower of Babel) we cut off our meridian/axiatonal connections, the endings have always continued to vibrate, in some more than others. We now stand at a time where we are ready to re-establish these connections. We must because the planet itself requires it. The experiment is coming to an end, it is time to let go of the horror and pain we have experienced and embrace, and recognize we can adjust all of what we experience. There are so many fine vibratory breaks within and without the space in which we live. We can change the vibration we currently use and move it to a different note on the scale of creation. There are many people who teach how to do this without knowing completely what it is they are teaching. Most of them are healers and that is what they see. But what they are doing is far greater than healing the body, they are dissolving the millennium of agreements, subconscious drives and hidden traumas/horrors, so we are free to create consciously again united with all life. We need to embrace this, because we (the early cycle light workers, who came to awaken the consciousness - those born in the late 40's, 50's and 60's) have absorbed the deepest cut and most jarring changes. We are the wave that would bring in those souls who stood in the wings, those that we call the new rays. They are not new, they are here to jump start us back to the grid and into a renewal of who we are. If you are experiencing the heavy drain of the physical disconnect with what you know is truth, wisdom and joy, then it is important that you take the time to visit you, the real you. Shift your consciousness there and play spin the bottle, kiss yourself. Soul is joy-full, it never left the pure positive god worlds. The physicality is just a derivative expression and experiment. Here consciousness can take any direction and play the game of service to self or service to others. We have stored too many rules and dogmas into our consciousness while playing this game. It is time to reboot and delete them. Recently, Spirit told me I needed to learn more about ancient Christianity. For the better part of my life, I could not say the word Jesus because when I would, all the mockery of this beings teachings would surface, and I did not want to be associated with these lies. to Chiaro Vigo, See story at the bottom of this blog. But I have reached a point where I can say Jesus, because I can now fully separate from what has been created by power grabbing people like Paul. I have come to learn that much of what we are now experiencing is the result of dogma, we believed and proselytized in early Christianity. I have to take you back to let you see what I am speaking of because most people do not realize what we did. So when we have incredible highs or incredible lows, we record them in deep memory and allow them to drive the subconscious mind to protect us or exhilarate us on our journey. It based its understanding around the fact that the physical was not a good place. It was a world of temptation and the body itself was a part of that world. It went on to teach that soul was trapped in the body and that to get out, one must find gnosis, or knowledge. 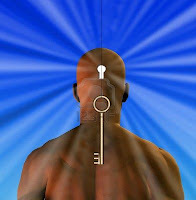 But not knowledge of physicality, the key would be knowledge of Spirit. So many in that time were ascetic in their practices. They believed that to remove themselves from all that is physical, to even go so far as to beat their own bodies, would be a way to find gnosis and release them from the pain of separation from the Divine Center. As this developed, many of these people also believed (this too stemmed from Judaic practice) that God would end the physical pain by destroying the world and bringing them home. 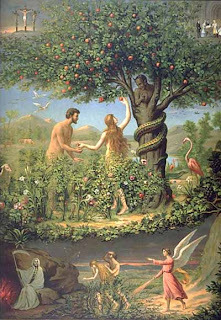 But when this did not occur as quickly as they expected and the negative forces of temptation continued to rise forcing them to hide or enslaving them, these lightworkers took a few different directions. Many became martyrs, others felt they must live a life of pain in order to ascend, and a few gave up over the centuries with suicide, drugs, or other addictive practices to remove their consciousness from the offending world. I know I have simplified this because of time and typing, but I think you see what I am getting at. We have steeped our consciousness in the pain, and now we need to find a new direction. We need to free ourselves of these illusions and reconnect with who we are, because we are powerful creators and we do create, but with our subconscious holding most of the creative power, it brings in challenges rather than joyful gifts. 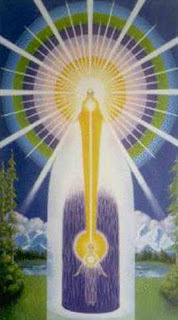 Now we have reached the depth of our material journey and we begin the climb back to creation, creator, one. 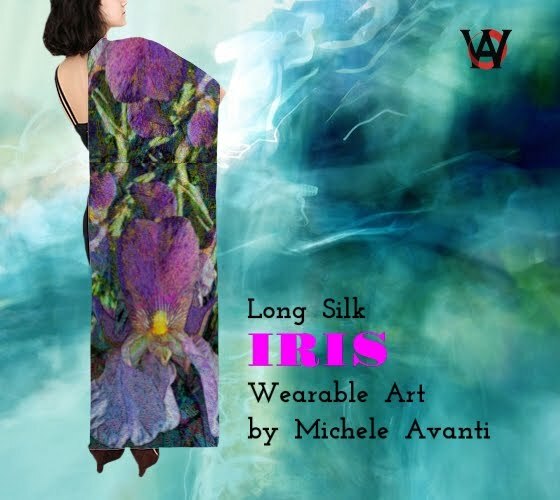 There are many people on the planet inspired and guided, offering techniques to clear and connect. Three of the most powerful techniques are: Eric Pearl's Reconnection, Dr. Bradley Nelson's The Emotion Code, and the many and varied forms of EFT, Emotional Freedom Technique first discovered by Dr. Callahan in 1992, promoted by Gary Craig and now expanded to many forms including Rebecca Marina's Heart Point Technique, and Regina Murphy's Emotional Sound Technique. If you have not already started you journey to reboot, please visit some of these sites and start exploring, releasing and reconnecting. You are part of the whole, not separate. You have always been part of the whole and shall be so eternally. "For 400 years the most important relic of Christendom, before which the Emperor of Byzantium knelt once a year, held between two panes of glass, has been on display in a tiny Capuchin church which is completely empty for many hours each day, in the town of Manoppello , in Italy 's Abruzzi region. It is the missing role model for the entire western civilisation. Today finally it must be regarded as rediscovered. It fades away against light, it darkens in shadow, yet it endures through the centuries, unchanging.It shows the bearded face of a man with side-curls (jewish peyoth), whose nose has been hit like that of a detainee in the Abu Ghreib prison. The right cheek is swollen, the beard partly ripped off. 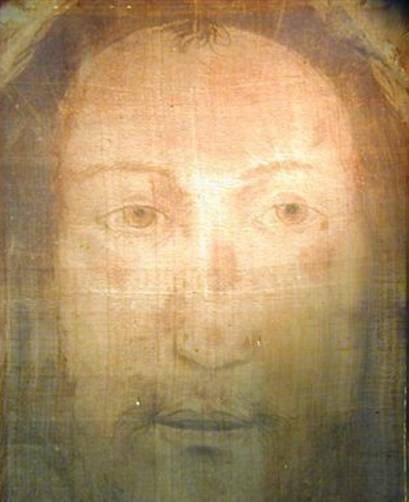 The forehead and lips have on them hints of pink, suggesting freshly healed wounds. Inexplicable peace fills the gaze out of the wide open eyes. Amazement, astonishment, surprise.Gentle compassion. No despair, no pain, no wrath. It is like the face of a man who has just awakened to a new morning. His mouth is half open. Even his teeth are visible." Update: As we have passed through this gateway of a Super Moon with no major seismic activities, we should be happy and congratulate ourselves. 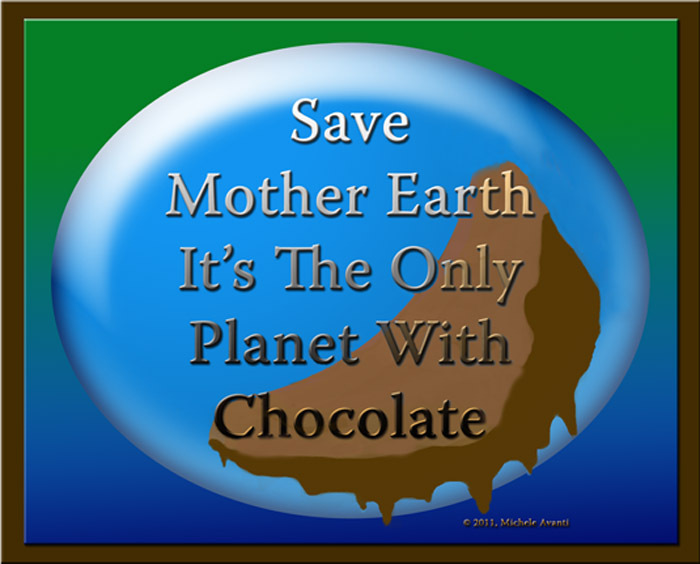 There are ways to re-balance the planet without having to experience enormous upheavals. When lightworkers allow the planet to use them to vent steam, the planet settles and as it needs to move its axis, it will do so in a gentle, non-violent manner. Please continue to pour love into the planet because the new Aries Ingress starts tomorrow. It has all the signatures of the charts below with the exception of the moon, which moves very rapidly. As that chart becomes active, there are several significant dates to note. On those days we need to emphasis a meditative practice of love. I have listed some dates in my 2011 Astrology Forecast / Predictions. But I will share more of these dates in the next week. Take a deep breath, hold it and then release. Feel all intensity leave your body. Take another breath, hold it, then release. Feel all concerns, and fears leave your body. You are becoming relaxed and balanced. Take one more deep breath and know you are breathing in light, harmony, peace, balance. Now release it and feel at peace. In this state, visualize the light filling up every cell in the galaxy of your body. Feel it fill you expanding your heart, flowing out through your torso, your limbs, your mouth, and bursting out the top of your head. Feel the loving power of peace and balance. Now visualize it flowing in a consistent stream of light our of every meridian point in your body, out your fingers and toes, out into the earth's grid, it's atmosphere and into every part of the oceans, and earth, the mountains, the valleys, the grasses, the trees, the sand, the cities. Relax in this flow as you see and feel the joy of love pouring into the earth. Smile, you have helped the planet and everyone on it. Good work! Thank you, for loving yourself. Each time you do, you send love to all life and help the planet hold its balance. Later today, March 19, at 11:10 a.m. Pacific Time/ March 20, 3:10 a.m. Japan Time, the Moon will be at its closest point in its orbit around earth, It will also be in alignment with the sun and earth. This is called a Super Moon, and has historically created an increased pull on the tides, making them deeper, while also activating seismic responses from the depths of the earth, especially under water. Considering the issues in Japan with six nuclear reactors in disrepair, due to both an earthquake of 9.0 and the tsunami that followed, we already have a crisis situation underway. 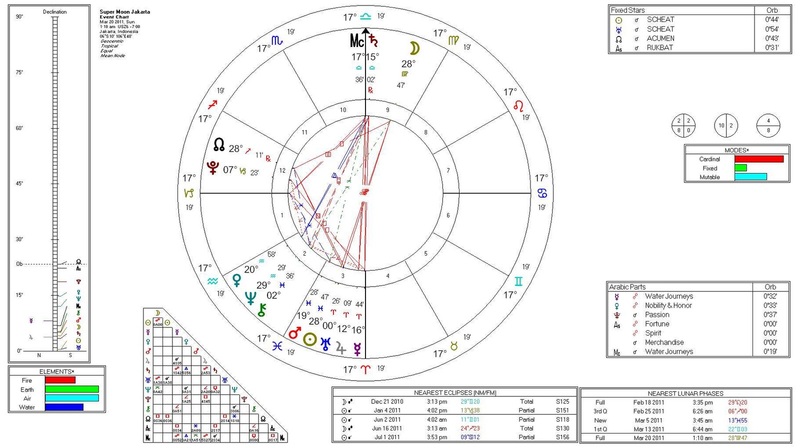 Radiation is a poison, and as we look at the configuration of the planet at the moment that the moon is closest to the earth, we can see a stress point in the inconjunct aspect between Neptune (rules poisons and gases) and the Moon (represents the people in a mundane chart). This is a combination that spells, explosion and expansion of earth - earthquake, volcanic eruption, and tsunamis. It also spells revolution, breakthroughs, new beginnings, brilliant inventions and struggles that may include massive drownings, fire and weather carrying poisons. Though the world is focused on Japan and Libya, it might be a good idea to examine two areas where the activity is on the angles, which may be where we see significant activity. Below is the chart for Jakarta, Indonesia, which is that nation's capital. Here the activity is significant because we have Saturn on the angle, squaring Pluto, which is applying to the Ascendant, and opposing Mercury on the descent. At the same time Mars is in a separating quincunx from Saturn. This is definitely volcanic activity, but with Saturn at the Midheaven instead of at the IC, it may not be as terrible as it looks, though the close proximity of the Moon and its aspects could create major difficulties of water, and result in tsunamis. The statement shows fire on the land moving very quickly, challenging the people with water following the ordeal. This is a difficult chart. 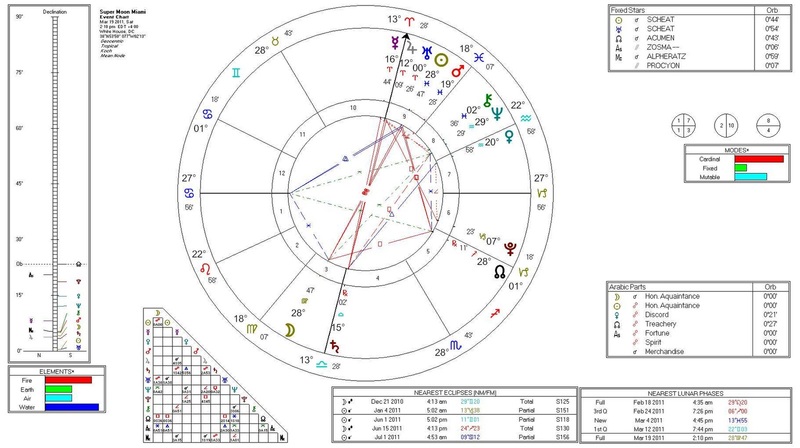 On the other side of the planet we have another chart, of course all the planets and luminaries are in the same aspect but it is the location that activates the angles. Here is a chart for Mount Vesuvius. 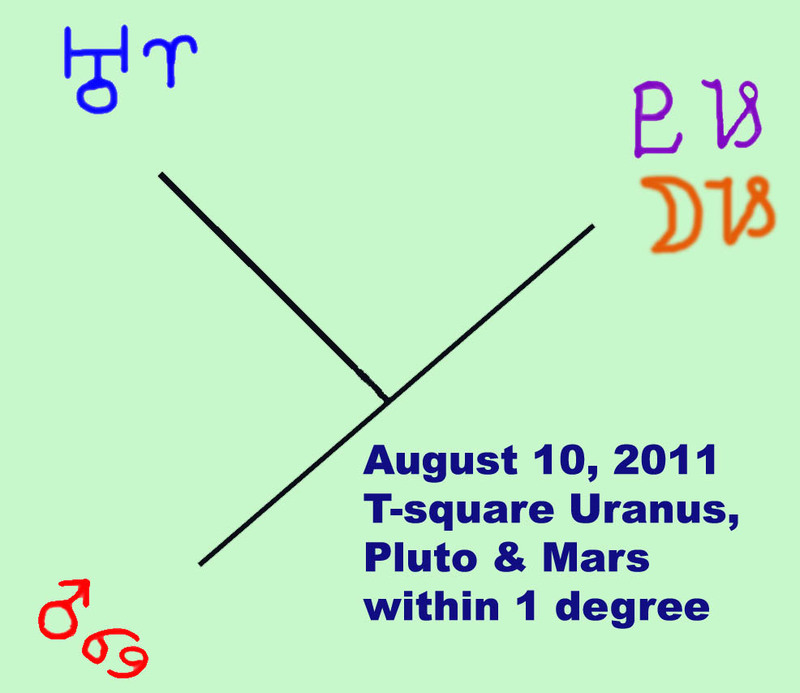 Here Pluto is on the IC, Saturn is on the Ascendant opposing Jupiter on the descendant. Pluto on the IC is an explosion and transformation of the land, challenged by Saturn and Jupiter; while Uranus, the Sun and the Moon, are applying in a challenging wide orb. 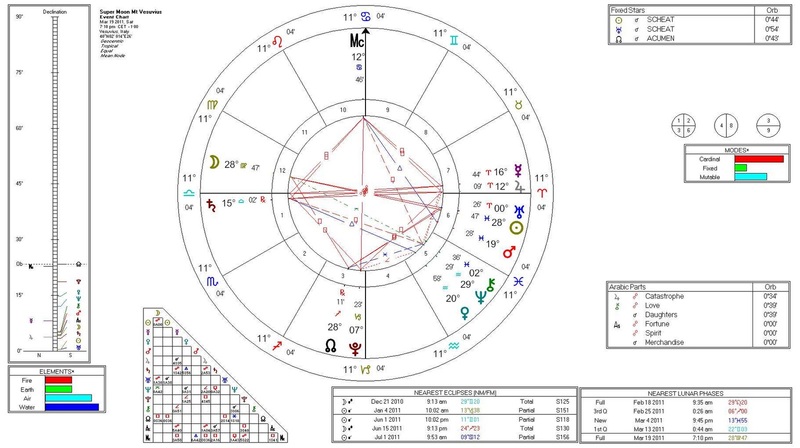 This is a very active chart and we need to pour light into the region to help balance the intensity of this astrological configuration. Now you may have noticed that in Jakarta, Saturn is at the Midheaven, while in Italy it is on the Ascendant, so where would you find Saturn at the IC. This is an important question because Saturn in this type configuration on the IC can indicate a sinking of land and an inundation of water. I know you will not be happy with the answer, but it is along the East Coast of the United States. Here is a chart for Washington D.C. This chart is two-fold, it may be indicating an inundation and sinking along the U.S. East Coast due to tsunamis caused by Vesuvius. 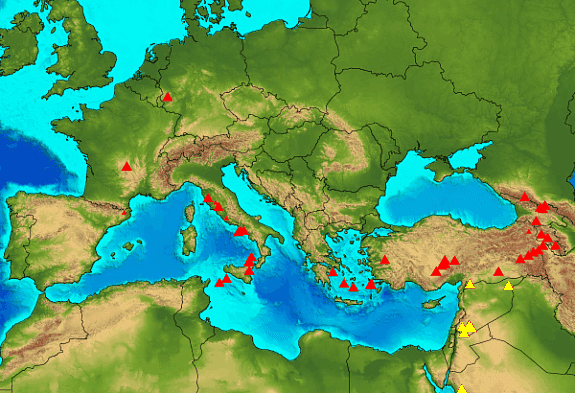 I do not understand the geological connection since Vesuvius is an inland volcano, but this chart has these statements. 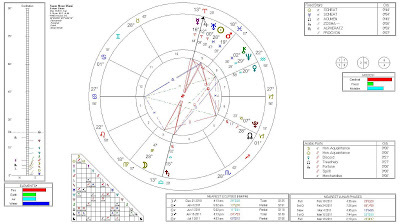 But when we take this chart and place it on the planet, there is another situation that arises. 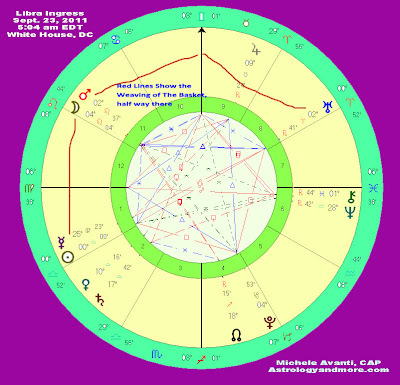 The Sun, Uranus, Scheat opposition Moon line falls along the Mississippi River, and we may see earthquakes and a terrible inundation in this area. This may also register the area where we will see sudden and serious conflict, protests and revolution unlike anything we have seen in eighty-four years. There is so much to say about this time as the frequencies increase we must align ourselves with the light. We must learn to stay calm and call upon our higher selves, our angelic selves, our BA, as the Egyptians call it - our soul self for guidance and healing power. 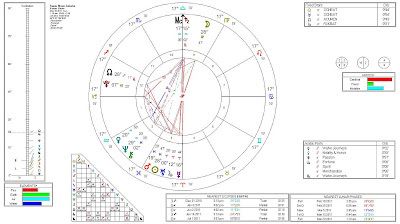 Though these charts are set for the Super Moon, it is a gateway to the Aries Ingress Chart, which begins twenty-nine hours and eleven minutes later, that gives a picture of the next three months. This period will not be short of challenges and news. If you are concerned about radiation, viruses or bacteria, please take time to read through Tom Kenyon's post on Medicines of Light.